Recently I ran CrateDB in multi-node environment as a trial and in this post I'll share my findings as to what is the basic setup and configuration that is required to have high availability setup in CrateDB. I am pretty sure that similar settings will be useful for ElasticSearch as well. I used crateDB version 3.2.2 and Java 8 for this POC. So there is some bootstrap checks before the server runs successfully. According to the documentation those are some mandatory checks that are mandatory and needed to get the cluster running smoothly in multi-node environment. 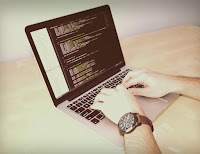 The first problem I faced was related to increasing ulimit in Ubuntu, which I have explained in this post - Increase Open Files/File Descriptors/Ulimit in Ubuntu | CrateDB ElasticSearch. Once my CrateDB ran successfully, I began to mess around with basic settings and configurations. Remember, many of the things can be customised, and I'll share a few read-worthy links if you truly want to customise all settings around your cluster, towards the end of this post. In my case, hard limit was set to 4096 and soft limit was set to 1024 by default. These changes take care that the ulimit is increased for GUI based login. In my previous blog post - Install Java 11 and Java 8 on Linux, I shared the way to install Java 11/Java 8 on your Linux machine. Now many of the current applications do not support Java 11 yet, so you must need a way to quickly switch between different installations of Java on your Linux machine. Without further ado, let's get started. Simply install the other command and it will automatically set that version as default in your system. Now if you have both the above packages installed and now you want to set either of them as default, simply purge the one you wish to set as default and reinstall it. As many of you must be knowing that Oracle officially ended the support for Java 8 in January this year. What this means for you? You get to try your hands on the latest JDK, which is 11.0.2 as of now. 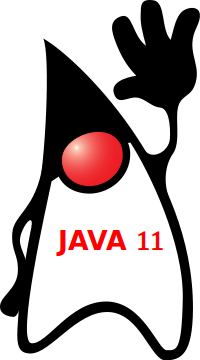 I will cover practical daily-code uses of Java 11 in a separate post soon. But till that time, let's discuss how to install Java 11 on your Linux distro. Now since many of your applications might still be using Java 8 and switching to Java 11 on production might not sound the best idea to your manager. This leaves you to find a way to install multiple Java versions on your machine and be able to switch between them in real-time. In this post I'll share the steps to install Java 8 and Java 11 on your Linux machine and you can find how to switch between these two installations in this post -> How to switch between Java versions on Linux.